This PP 3D printer filament 1.75mm peach skin 162C is of quality. 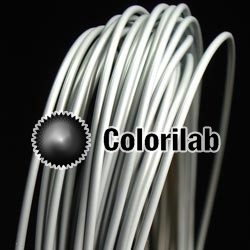 The PP 3D printer filament offers excellent flexural (live hinges) and fatigue characteristics; its macromolecules can be oriented in the stress solicitation direction. It also offers a good resistance to cracking under load. However, the PP 3D printing filament is difficult to maintain stuck to the 3D printer heated bed. The printing bed surface plays a great role here. Test a print bed surface covered with: PP tape or PEI (Ultem) film or some aftermarket 3D printing bed surfaces sold as sheets. These should help avoiding warping issues and enhance the adhesion of the first layer. Other specifications are listed on this page.